Sassafras Bar Stools. 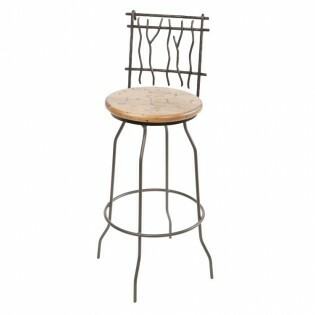 Our rustic hand forged wrought iron bar stool has a twig design. 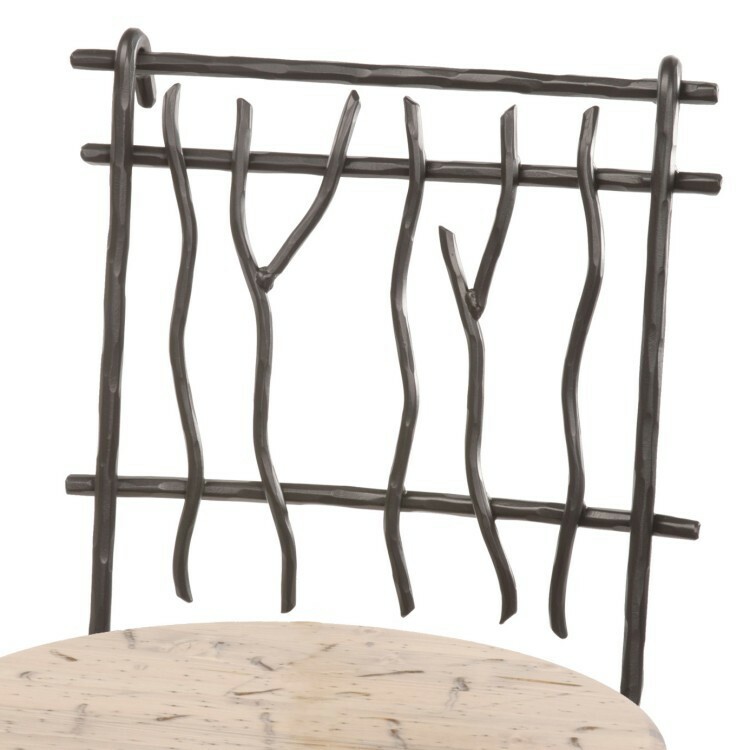 The durable natural black finish is accented with a wood seat in your choice of four designer finishes. Made in the USA. 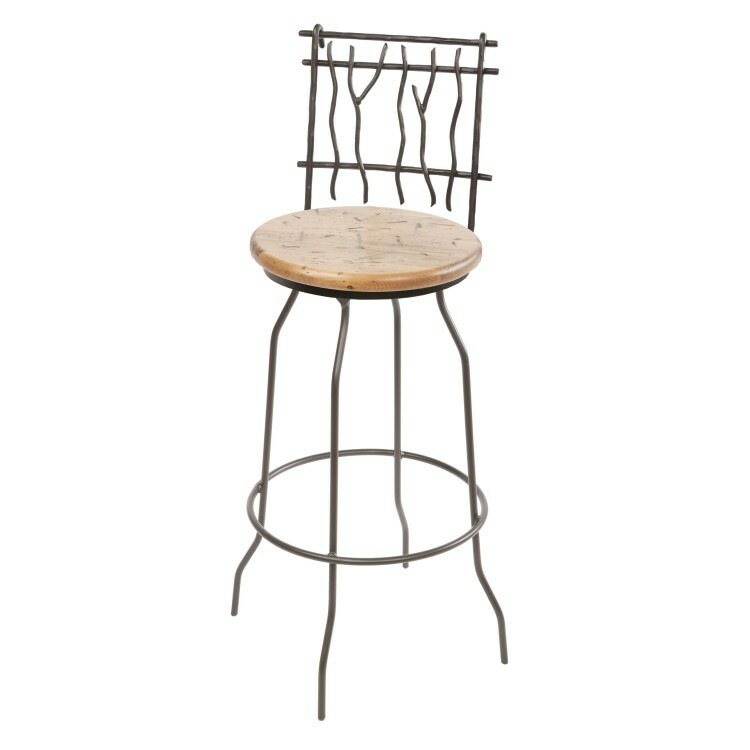 Our rustic hand forged wrought iron Sassafras Bar Stool has a twig design. 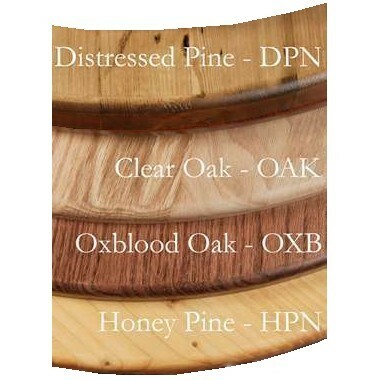 The durable natural black finish is accented with a wood seat in your choice of four designer finishes. Made in the USA.